Six years ago, I had a stroke. Because I struggled to find my writing words again after the stroke, I took a visual storytelling course. Which led me to the deliriously happy discovery that illustration could become part of my writing voice. Six years of sketchbooks, SCBWI conferences, and writing courses later, I find myself unbelievably thankful for the detour that led me here. 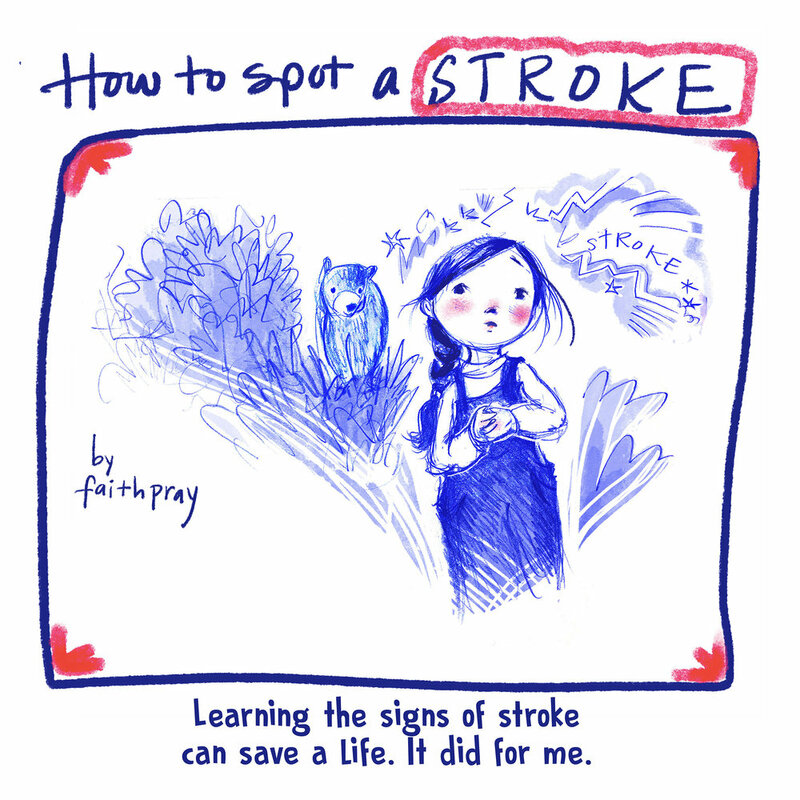 As well, I want to spread stroke awareness with others who might need it. 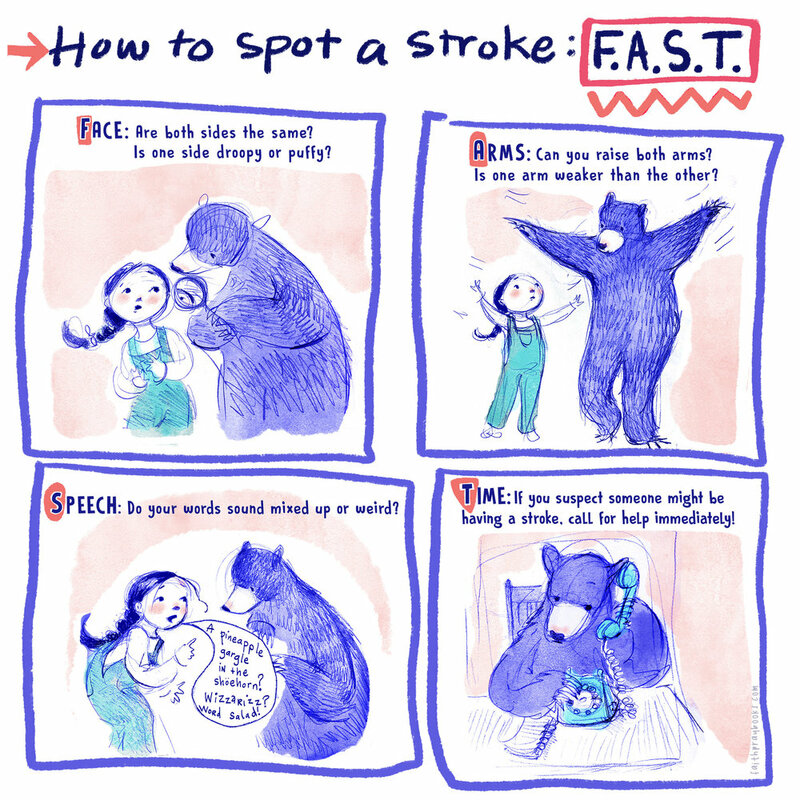 If you spot the signs of stroke, call for help as soon as you can.